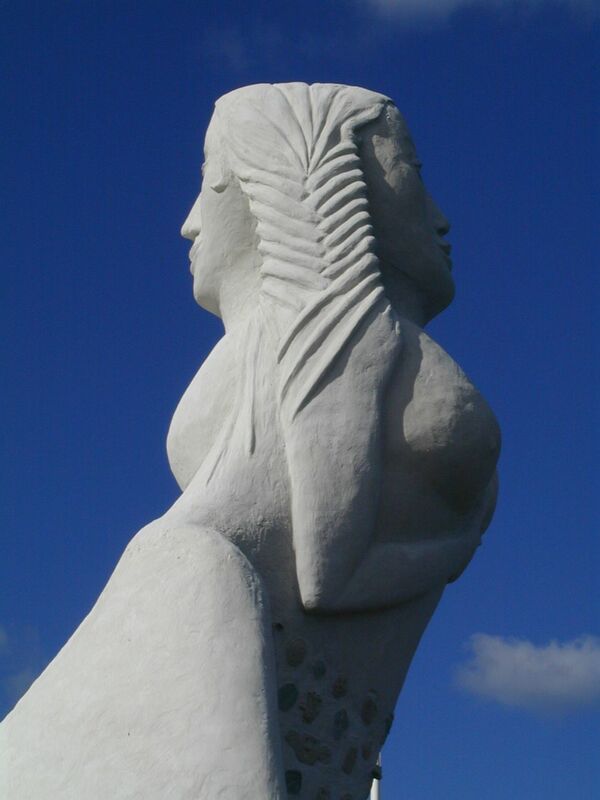 She has two faces, looking over the sea as well as looking in towards land. 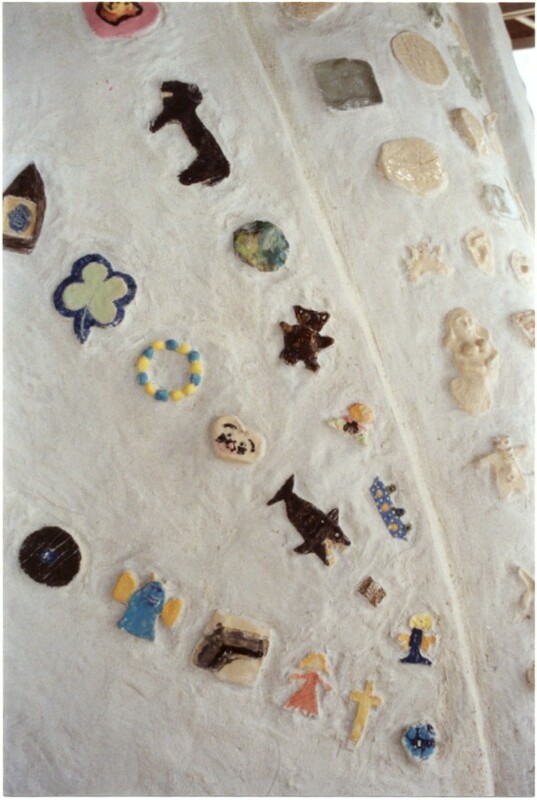 The other woman is the Virgin Mary, who bares her breast to Christ on doomsday in the chalk paintings of the Middle Ages in Sæby Church. 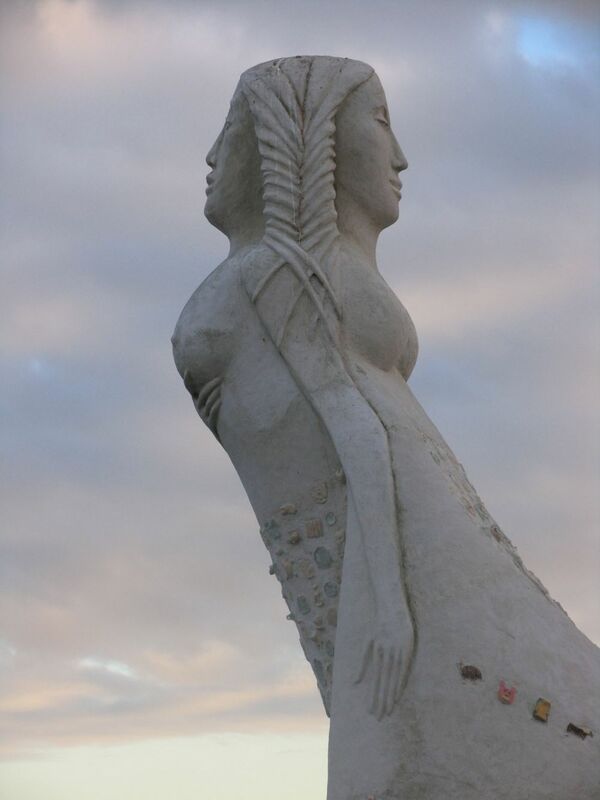 She has people hidden in her cloak and asks for protection and mercy for these poor people, from her son, who has suckled from her. 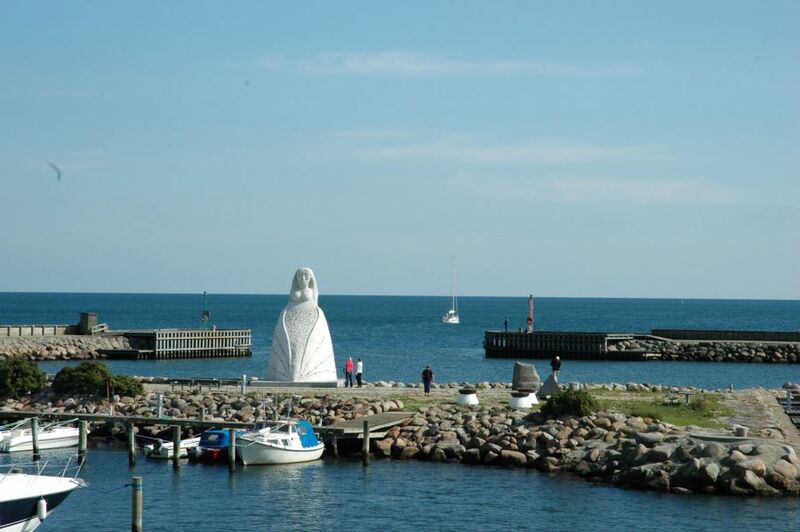 In the Middle Ages, Sæby was called Mariested (the place of Maria). 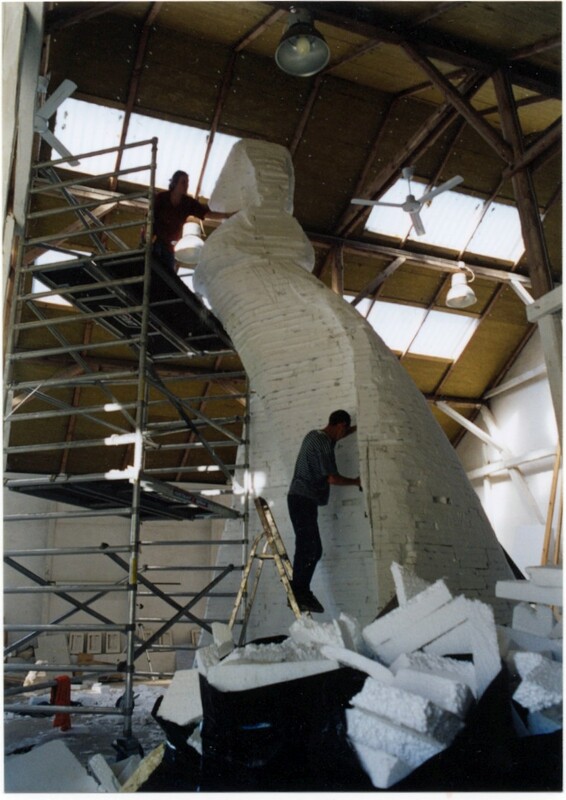 But the main point of reference is the Figurehead, which humankind has used for as long as we have moved over water and has always been a protection against unknown dangers. 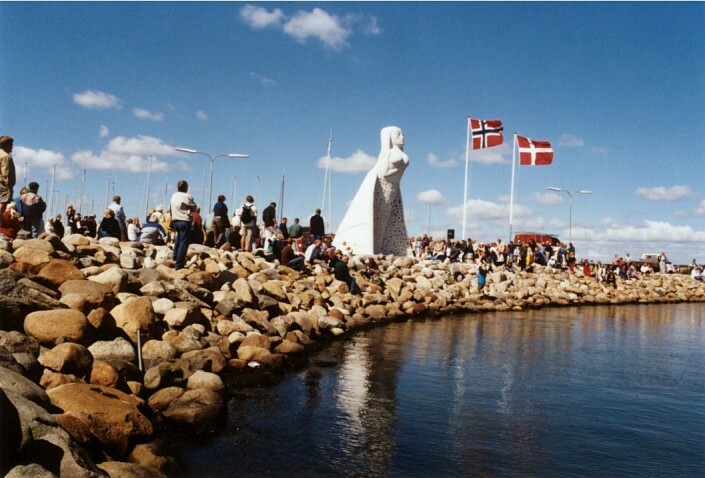 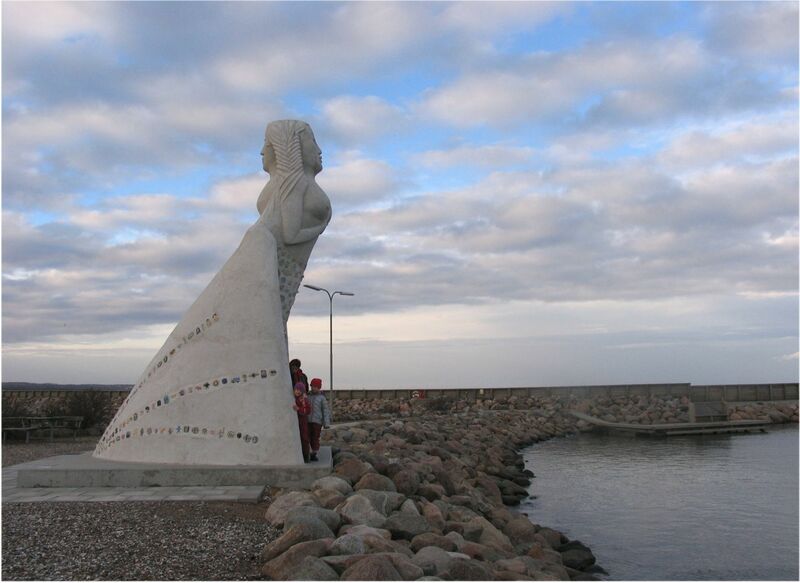 “Marit Benthe Norheim’s large sculpture on the harbour in Sæby - The Lady of the Sea - which was created in 2001 - is an example of how a monumental sculpture can create a whole new town space, provide a location with an eye catching new profile and the town a striking landmark. 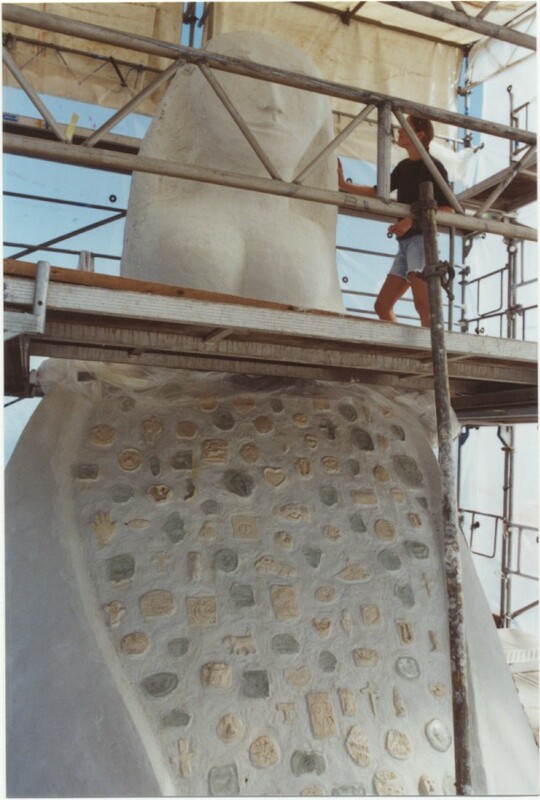 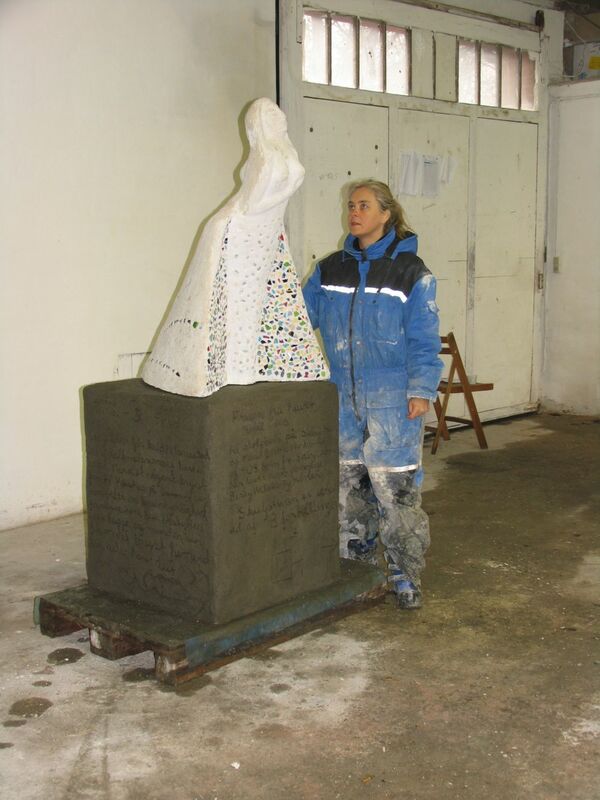 With The Lady of the Sea, Marit Benthe Norheim has succeeded in combining writing and sculpture, religion and art, children and art, together in a way that is both fascinating and original.